Only 14 days left until Christmas! Where is the time going?! With the next few weekends full of Christmas parties and Holiday exchanges it's time I start baking -- especially since I have a cookie exchange on Saturday! I have no clue what I'm bringing. Last year I whipped up a batch of Grandma Jo's Date cookies. After browsing my favorite site for recipe, DIY and decorating inspiration (aka pinterest) I've narrowed it down to these five treats. Let the baking begin! 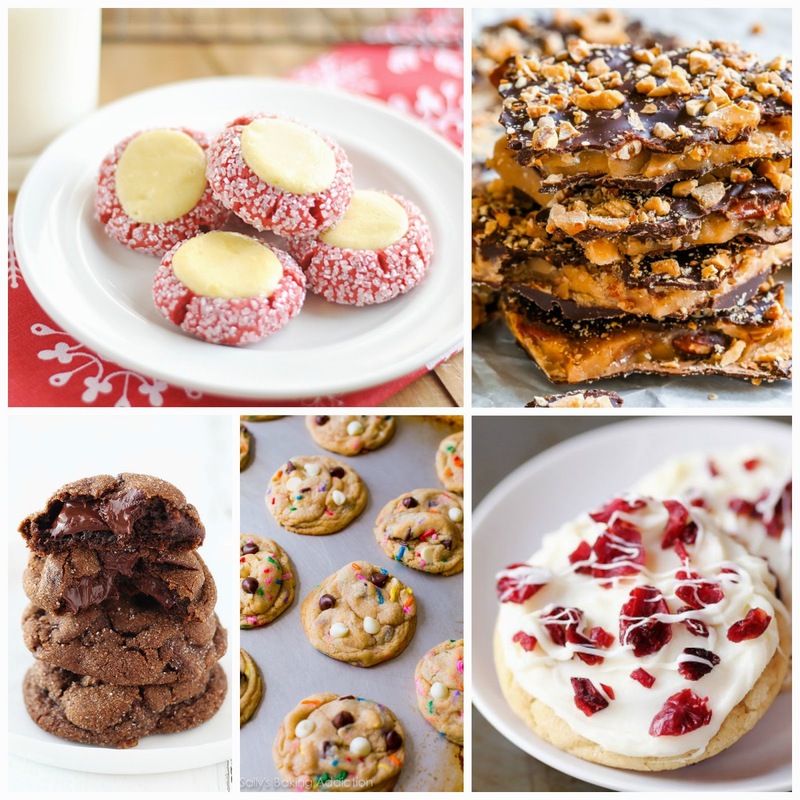 What's your favorite Holiday treat/cookie? Those cranberry bliss cookies look delicious! I would eat those in the morning with a latte -- so dangerous! It's almost like a mini cheesecake! ANYTHING with rainbow sprinkles captures my attention! The cake batter cookies are winners. I have Christmas sprinkles if you need any.